9 Feb 2019 - 23 June 2019 :: National Craft Gallery, Kilkenny. We host this exhibition in Kilkenny in celebration of creativity and innovation in craft across Europe. In a time of discord, we are more than ever aware of our enduring connection as Europeans, and the importance of our shared heritage, cultural connections and contemporary collaborations. Highlighting new work by 74 of the most skilled, creative applied artists from across the continent - this exhibition brings together both artworks and makers to explore parallels in their approaches, thinking and techniques. .
21 Feb 2019 - 19 May 2019 :: The Coach House, Dublin Castle, Dublin. An exhibition of new and innovative works from the Design & Crafts Council of Ireland’s PORTFOLIO: Critical Selection 2019-20. Surface Matters, curated by Liz Cooper, considers the extraordinary skill and attention to detail involved in the creation of these contemporary craft objects; from the application of an exquisite patina to the repetition of building a complex form and a deep understanding of how their materials perform which has set these makers apart. From 13th April 2019 :: Lexicon, Dun Laoghaire, Co. Dublin. Homo Faber is an inspiring exhibition of European craftsmanship, an international cultural event to showcase fine contemporary, traditional and rare craftsmanship and its link to the world of creativity and design. Encounter master artisans and discover their multifaceted know-how through live demonstrations as well as the latest virtual reality technology. Listen to new ideas and expert voices throughout the program of Creativity and Craftsmanship Conferences. From breathtaking jewellery to bespoke bicycles, from fascinating skills on the brink of disappearing to some of the most sought after icons associated with European style, Homo Faber covers a wide range of materials and disciplines and celebrates the human spirit and talent of the creators. Joe has been shortlisted for the LOEWE Craft Prize 2018. The LOEWE Craft Prize 2018 recognises the entirety of the shortlist as having made fundamentally important contributions to the development of contemporary craft and the legacy of the exhibition will be documented by a specially produced catalogue containing each of the finalists’ pieces. Each finalists’ work will be exhibited at the Design Museum, London from 4 May – 17 June 2018..
Learning from the Earth presents new willow work from traditional basketmaker and fine artist Joe Hogan. Joe has worked from his studio in Loch na Fooey in West Ireland since 1978. He grows his own willow and harvests other naturally occurring materials such as wood, bark, larch, birch, bog myrtle twigs, willow twigs and catkins that he incorporates in his work. Joe Hogan is regarded as one of Ireland’s master craftsmen and has gained a worldwide reputation for his work. The show brings together a group of highly skilled International craft artists and innovative designers who respond to elements of nature, through process, material and philosophy. This exhibition is particularly interesting because it demonstrates how traditional processes of hand-crafting with organic materials such as clay, wood and natural fibres are very much relevant in design and art today. Lost & Found: featuring works from Robert Cooper, Joe Hogan, Paul Scott & Edward Teasdale. The exhibition approaches kogei art, which has changed and expanded with the times, with a worldwide perspective, serving as a venue to introduce new kogei art pieces, rich with expressiveness, while the latter exhibition focuses on the kogei art pieces that belong to the collections of Kanazawa City's museums. These exhibitions serve as Kanazawa City's way of sharing with the world a new era of kogei expression and possibility. 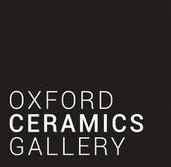 A showcase of new work from basket maker and visual artist Joe Hogan and ceramicists Claudia Rankin and Ben Arnup. Craft and the garden have enjoyed a symbiotic relationship for centuries, providing a continual source of inspiration for both artists and makers. Colour, texture, shape and the ever-changing seasons unite to provide the perfect muse and evidence of this will be in abundence at Walford Mill Crafts this summer. The RHA is an artist-led organisation, a 32-county body with charitable status. Its core remit is to support contemporary art and artists in Ireland through exhibition, education and advocacy. Basket-maker Joe Hogan invites you to come and see the work he is creating during his residency at the CCI. 25th Sep: 18:30 to 20:00. This stunning exhibition will showcase exceptional pieces created using materials from the natural world; including dyed wooden bowls and vessels with precious metal inlay, woodturned pieces designed with the line of the grain as an integral part and willow woven sculptural basketry. Each of the artists are exploring and developing new designs based on old traditions and promoting a deeper connection to nature. 9 Sep to 3rd Oct 2015 :: The Scottish Gallery, Edinburgh. Basketry is an ancient and elemental craft reminding us of a simpler life; a yearning for something going back to our basic roots. It is also a universal craft; basketry gives both urban and heritage spaces an essential human dimension. 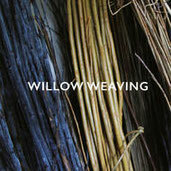 Willow Weaving is by no means a survey exhibition, it is instead a glimpse into a genre which has been in decline as a world craft due to increasing industrialisation but in recent years has enjoyed a renaissance as an art form in its own right. Each artist and craftsman included in this exhibition contributes to this renaissance. Mar to May 2015 :: Riverhouse Gallery, Storrington, West Sussex, UK. An exhibition of contemporary work from the Design & Crafts Council of Ireland’s (DCCoI) PORTFOLIO: Critical Selection 2015-2016 publication, it features 22 makers who have been selected for achieving excellence in craftsmanship, design quality and technical skill by comparative international standards. 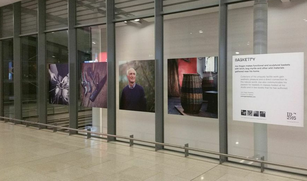 "Design Island", is a photography exhibition at Dublin Airport that communicates the breadth of Irish creativity in 2015. Each grouping features designers photographed in their studios by award winning Irish photographer Peter Rowen. “To Capture Silence”, a joint exhibition featuring Joe Hogan’s basketry and Liz Nilsson’s textiles. Showcasing the best of contemporary Irish craft from world-class makers with international reputations, PORTFOLIO will feature unique and innovative objects across a variety of disciplines including: furniture, ceramics, jewellery, glass, metals, paper, textiles, calligraphy, woodwork and basketry. This exhibition comes about as a direct result of a short residency at The Barony Centre in September 2013, when Ewan Balfour (Shetland), Lise Bech (Denmark/Ayrshire), Mary Butcher (England), Carlos Fontales (Spain), Joe Hogan (Ireland) and Barbara Ridland (Shetland) spent a weekend 'hanging out' having conversations,'playing' with weave using natural and found materials and sharing skills via drop in workshops open to the public. Following on from the success of ‘An Irish Wall’, five makers based in Ireland were invited by the Festival at the end of last year to produce a work in response to Vasconcelos’ Valquíria Enxoval, working with collaborators of their choice. This exhibition charts their journey to the finished work and will include notebooks, photographs, prototypes, samples and statements that illustrate the process and the narrative of each collaboration. Material Subversion will run concurrently with the Crafts Council exhibition Hidden Agenda and explores the ways in which local craft makers subvert preconceptions about materials and their function. The ten makers involved include Stuart Cairns, Patrick Colhoun, Andrew Cooke, Rachel Dickson, Joe Hogan, Ingrid Houwers, Catherine Keenan, Gail Mahon and Rachel McKnight. Material Subversion explores how these makers - working with a wide range of materials including glass, ceramics, taxidermy, wicker, textile and paper – subvert the perceived functionality of their work and prompt viewers to question the role of material and its relationship to form. Joe Hogan will be exhibiting a selection of his contemporary baskets at The Scottish Gallery in Edinburgh. 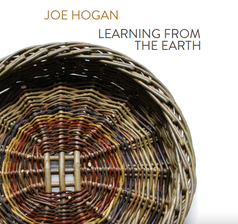 The work of basketmaker Joe Hogan is strongly influenced by the landscape of Connemara, where he lives and works. His robust, increasingly sculptural pieces are woven from native willow, and often incorporate twisted bog wood – reminiscent of bleached horns or antlers - from an area of bogland near his home. They are strong, physical pieces with a raw beauty. Featured this year, in conjunction with Craft Forms, is a dynamic exhibition, Nature In Craft, that will focus on mixed mediums and how the artist incorporates nature through material, concept and execution. Over 40 international artists will be featured. Water Land' an Exhibition of Crafted Objects Inspired by Water. This exhibition brings together the heritage of the inland waterways with new work by contemporary artists and craft makers. Curated by Sarah Ross, it will feature a selection of Ireland's most well known and recognised artists and crafts people. Collaborations with Clare Corrigan, Designer. Part of Freize week, Fornum & Mason are hosting a pop up exhibition, Nusch Fleuriste. The exhibition is a modern day survey of craftspeople and makers and includes collaborations between Clare Corrigan, the former Marc Jacobs Homeware Designer, and glass blowers, ceramicists, weavers, metal workers and flint knappers. 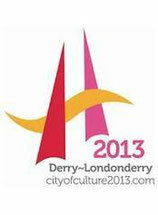 A large craft exhibition featuring many of Ireland’s leading craft workers; part of the programme for Derry/Londonderry city of culture. Making and Drawing reveals the secret lives of artists and makers; showing their private drawings alongside the finished works that they inspire, inform or create. 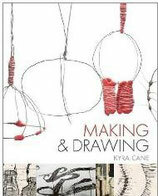 This exhibition celebrates the publication of Kyra Cane’s new book, Making and Drawing. Showing work by artists’ featured in her book, this exhibition will focus on how these makers use drawing for reference; planning and design; surface; making; thinking; with technology. A display of craft work by makers in the Crafts Council of Ireland “Portfolio” in the Brown Thomas store in Dublin. In conjunction with Basketry and Beyond Festival. ‘FROM BARE STEMS’, focuses on the fishing, farming and fashion theme of the festival. Curated by Hilary Burns, the exhibition will show traditional and contemporary work side by side together with information about materials and techniques. Images showing how baskets have been and in some places still are used in everyday lives will put the work into context. Curated by Maureen Kennelly and Ann Mulrooney. Future Beauty? is an exhibition of everyday and extraordinary objects designed and made in twenty six independent Irish studios in the past year. Future Beauty will be a rare collision of materials, technologies and cultural influences, all linked by the experience of intelligent making. The show invites us to consider the current shape of art and design in Ireland, and, to consider the ways in which the thinking and the objects from these makers may influence our understanding of art and design in the future. The international fair for contemporary objects. Represented by the National Craft Gallery, Ireland.